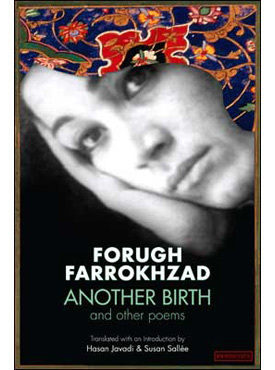 Forugh Farrokhzad was born in Tehran in 1935 and died in a car crash at the age of 32. During her short, tumultuous life she was married and divorced; had a son, who was taken away from her; had love affairs; made an award-winning documentary film; adopted a child from a leper colony; and published several collections of poetry. In her writing as well as her lifestyle, she challenged female stereotypes and shocked the establishment, but her talent was unmistakable. Fiercely honest, insightful, and often wonderfully lyrical, her work has earned her a secure place in the thousand-year tradition of illustrious Iranian poets. Another Birth is widely regarded as the pinnacle of her poetic work. This revised and updated edition of Another Birth and Other Poems, includes an introduction, letters, interviews, a timeline of Forugh’s life and creative work, two essays analyzing her finest poems, and the Persian text of the poems on facing pages. Forugh Farrokhzad’s poetry is as poignant today as it was half a century ago, when it scandalized Iranian society. This book brings into perspective the full evolution of Forugh’s work, from introspective reflections on womanhood, love, and religion to broader visions of modern society as a whole.